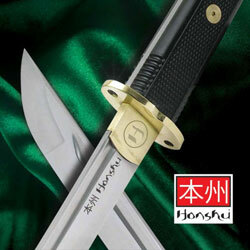 Honshu Tactical Wakizashi Swords for sale are 30 3/8th inches in all. 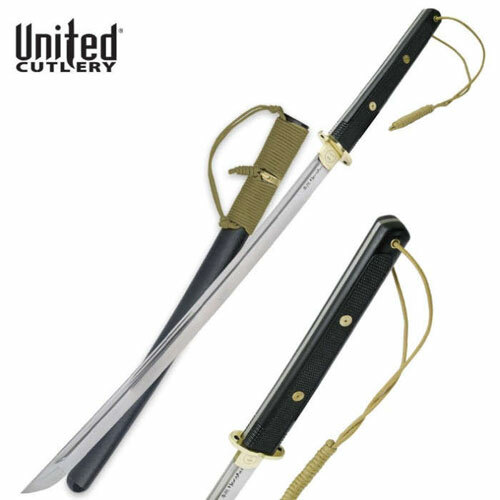 The Tactical Wakizashi is a popular full tang sword that features a functional 19 ¾ inch sharpened high carbon steel blade. 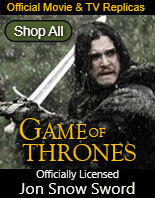 The highly polished blade has a deep blood groove and is engraved with the Honshu stamp and Japanese writing. 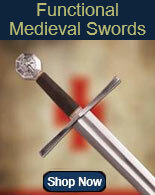 The tang of the sword extends from the tip through to the handle base and is clearly visible. The nonslip, checkered PolyABS scaled handle has solid brass dowel rod bolts and features a ParaCord lanyard. 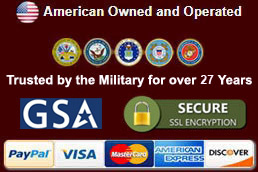 The famous Tactical Wakizashi features a solid brass hand guard complete with lashing holes. The scabbard has coordinating ParaCord wrap and solid brass accents. 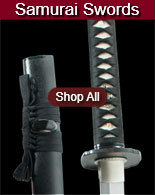 Buy the full tang Honshu Tactical Wakizashi Swords for $139.99.